Seven years and over 150 million sales have passed since Nintendo surprised the world by releasing its dual screen handheld back in 2004, introducing true touch screen gaming to the masses for the first time. The concept proved such a success that Nintendo has now implemented it in its next home console, Wii U, via a secondary touch screen in the GamePad, essentially creating a giant home DS. 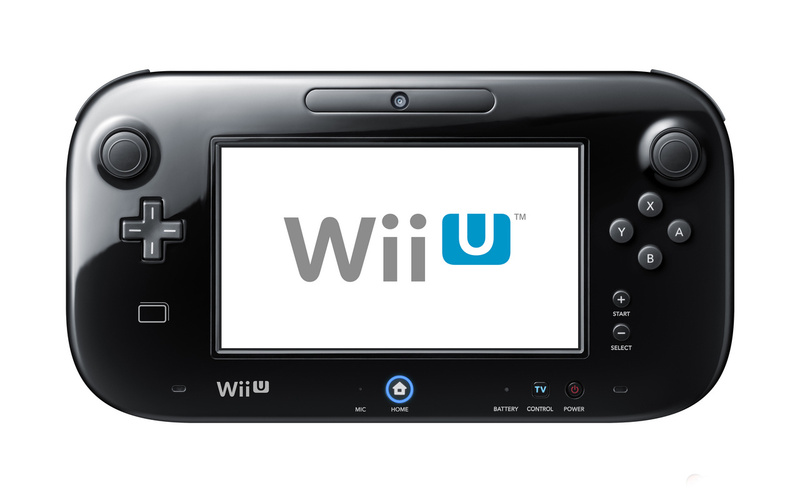 Wii U is now in a rare position that no other home console has ever been in. While handhelds traditionally follow the lead of consoles, this time around it is Wii U that can take inspiration from DS, something we’ve already seen develop with the announcement of Scribblenauts Unlimited. So with that in mind, we’re taking a look at six other franchises that could be making the leap to your living room in the next generation. Level 5’s puzzle-adventure series has been winning gamer’s hearts since 2007 thanks to its curious mix of investigation, puzzle solving and quirky characters. 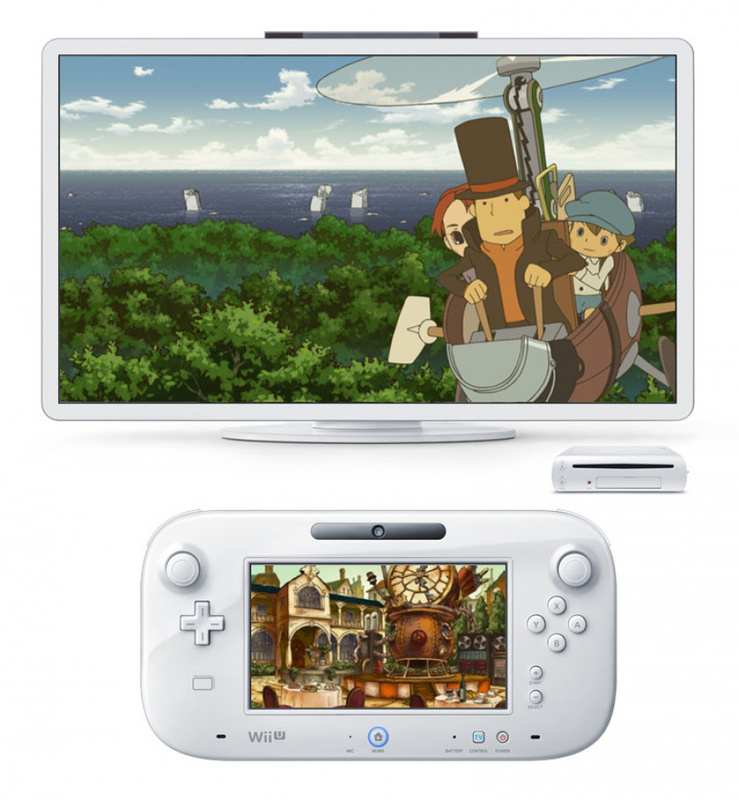 With a fanbase now secured, Wii U could be the perfect opportunity for Layton to make his move to the big screen. The transition is a reasonably simple one too, requiring nothing more than a new story and another 200+ puzzles to be created. The Wii U GamePad offers exactly what the DS does, giving the player a touch screen through which to solve puzzles and explore the area, while the larger TV screen is the perfect opportunity to capitalise on one feature that many Layton fans want more of – cutscenes. As seen in the recent DVD movie Professor Layton and the Eternal Diva, creating a full story in video form is not outside the realm of possibility, and to get every cutscene animated so beautifully, and in HD, would be a real treat for any fan of the series. The current limiting factor on dialogue and cutscenes is the DS’s cartridge size; Wii U disks would eliminate this problem. While Advance Wars: Days of Ruin wasn’t necessarily loved by everyone thanks to its darker tone, along with Advance Wars: Dual Strike it took the series formula and introduced touch-based map management, making any other version seem archaic in comparison. With Wii U, the GamePad becomes the perfect command screen for Advance Wars veterans, allowing precise and swift implementation of tactics, while the TV screen could be used to watch your battles play out. Two GamePads would also allow for a multiplayer Fog of War game to exist in a Battleships-style scenario, with both players being unaware of the other’s movements until battle commences on the TV. 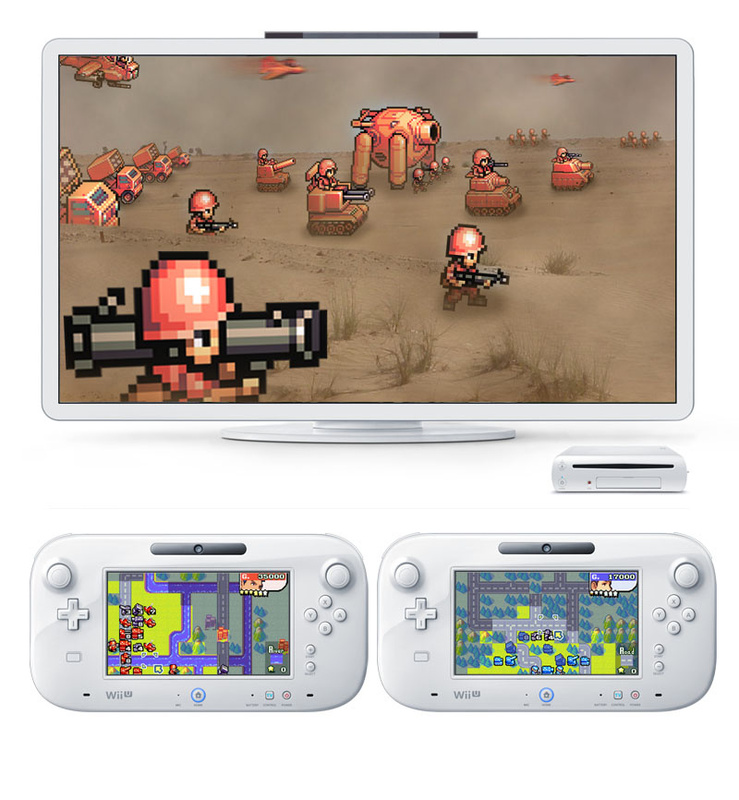 Obviously Advance Wars has made the move to the big screen before, with Kuju’s Battalion Wars proving to be a cult hit on both GameCube and Wii, so it would be foolish to ignore the potential of a crossover. One of the complaints thrown at Battalion Wars was its lack of effective battlefield management, something the GamePad could solve, while the TV could allow you to take control of individual units to turn the tide of battle. It’s a well worn path by now, but could this be the generation that Pokémon finally makes its home console debut in all its RPG glory? The series’ transition to DS has improved the gameplay significantly, with touch screen controls benefitting the battles and the swiftness at which actions can be performed, creating an even more engaging Pokémon experience. This experience is now in a perfect position to transfer to Wii U. The touch screen controlled battles would work brilliantly on the GamePad, while battles would take place in full HD on your TV, along with the exploration parts of the game. Using two GamePads would also allow for engaging multiplayer battles, ensuring the other player remains unaware of the other Pokémon in your squad. With Pokémon Red and Blue’s 20th anniversary falling within the upcoming generation, an HD remake is at least a possibility. If all else fails, maybe Nintendo will release Pokémon Stadium U? Another game that could only previously exist on DS, Elite Beat Agents took the rhythm genre and breathed new life into it with a mix of storytelling, humour and tapping away to classic tunes. And with a touch screen in your hands, it's a perfect candidate for Wii U. With the demise of Guitar Hero and Rock Band on home consoles, Nintendo has the perfect opportunity to re-corner the music genre in the living room. With the GamePad used for the rhythm part of the game, the main TV can be used for the animation sequences, displaying the charming and often humorous clips to the room. This ultimately could allow it to become a party game, and if Nintendo somehow work in ways to keep everyone else entertained, could make it the next Rock Band. Originally debuting on the Game Boy Advance, the Ace Attorney games found a new home on DS, thanks to its utilisation of the touch screen and, of course, the microphone. A crime investigation game at heart, the Ace Attorney games could very easily be transferred to a home console, as has already been shown with the Phoenix Wright WiiWare release. Moving the existing framework onto Wii U would be a simple task, with courtroom evidence and investigations still being primarily controlled using the touch screen. The GamePad could also allow for 3D investigations to take place using the gyro controls; this would allow for full 360 degree movement, as you physically move the GamePad to examine a virtual room. The TV would also allow for a more cinematic Ace Attorney experience, with the additional disk space allowing for more fluid animation and voice acting throughout. 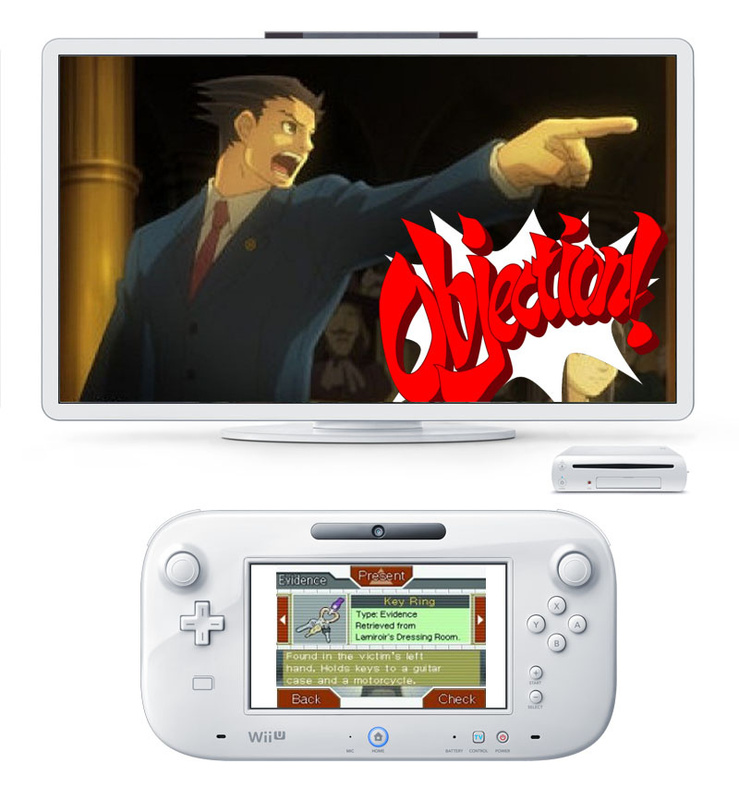 And, of course, the built-in microphone would allow you to continue screaming “OBJECTION!” throughout the game. It’s been out for less than a year, but it’s safe to say that Pit’s return to prominence has won him some new fans, and unsurprisingly those fans want more. Sakurai was very specific about not using anything other than a touch screen to control Pit, so the angelic action game would fit in nicely on Wii U. We should also remember that Pit's latest adventure happened to appear on Wii during development. The original Kid Icarus: Uprising was an undoubtedly beautiful game, with amazing locales mixed in with an epic orchestral score, making it a viable candidate to showcase the power behind Wii U as Nintendo pushes into the HD era. The GamePad substitutes perfectly for the 3DS’s touch screen too, meaning no loss in control precision; the GamePad also allows for dual analogue control if preferred, and there’s even an option for Wii Remote and Nunchuck control for those so inclined. Add to that the potential of another great story with a witty script, and Kid Icarus: Uprising 2 seems like a natural fit for Wii U. However, with Project Sora now disbanded and Sakurai working on the next Super Smash Bros., don’t expect this one too soon. These are just six examples of franchises that could, and perhaps should, make the jump from DS to Wii U in the near future, but what games would you like to see on Nintendo’s new console? Let us know in the comments below. Y U NO SAY TWEWY!? I love all does suggestions! I personally would also enjoy seeing the Mario & Luigi RPG series. It may not be a DS game... but Final Fantasy: Crystal Chronicles would make a fantastic addition if it made use of the gamepad and 3DS. If I were home I'd use my photoshop magic to better illustrate how it would look. This will have to suffice. 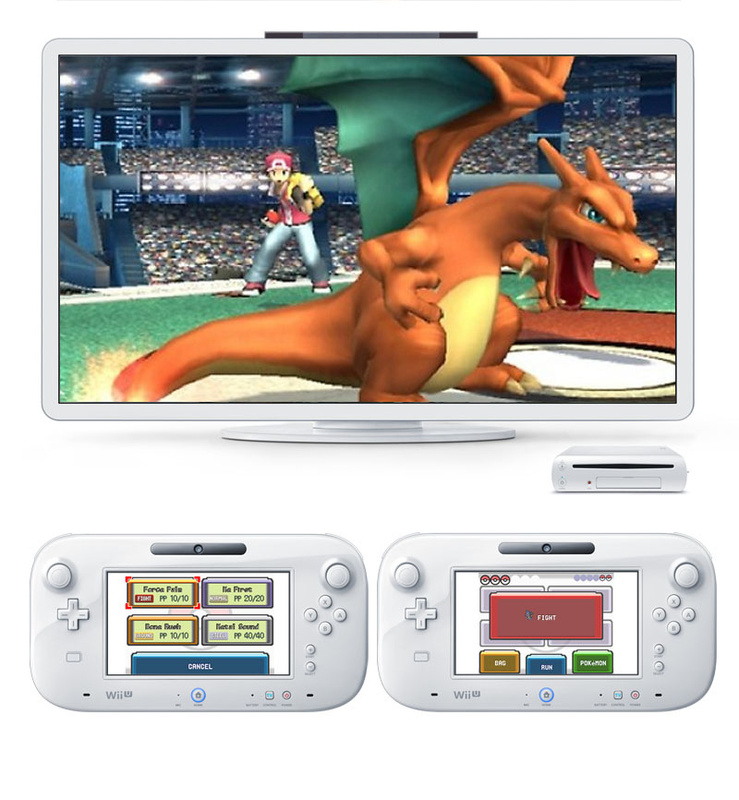 I may produce a couple of images illustrating how a 3D Pokemon game would look on the Wii U as well. This is going to be fun. Errr, TBH with you I'd take any of about 40-45 DS games on the Wii U as reasonably priced downloads! i like how advanced wars looks and an HD version of pokemon would be interesting to see with all the details they could add in. The Castlevania games would be great fits. @CrispyGoombaThe idea is what games or franchises can be re-imagined and reproduced for Wii U, not actual ports The 'DS Games We Want on Wii U' title just seemed a bit snappier to read, as the intro said it's not meant literally. I think these are all franchises that could work, with good dev teams, on Wii U. As they all have established fans, and could earn more, I reckon they'd all be good ideas for projects, but then I'm not an experienced publisher! Every Dragon Quest game and every old school turn-based RPG just because I want to play them on a big screen. I think there's a flaw in assuming that DS gameplay can be 100% replicated with the Wii U. The two DS screens are right next to each other. It's essentially one big, long screen. You only need the tiniest, subtlest of glances to flick between the screens. The Wii U controller and the TV screen are completely disconnected. So looking up at the TV and down at your lap constantly throughout the game won't be quite as intuitive as it is on the DS. Regarding Pokemon; "The series’ transition to DS has improved the gameplay significantly, with touch screen controls benefitting the battles". I think the second screen may have benefitted battles (though hardly significantly), but I don't think many people used the touch screen controls in battles at all, seeing as your thumbs are already on the d-pad and buttons, why would you stretch them over to the touchscreen? 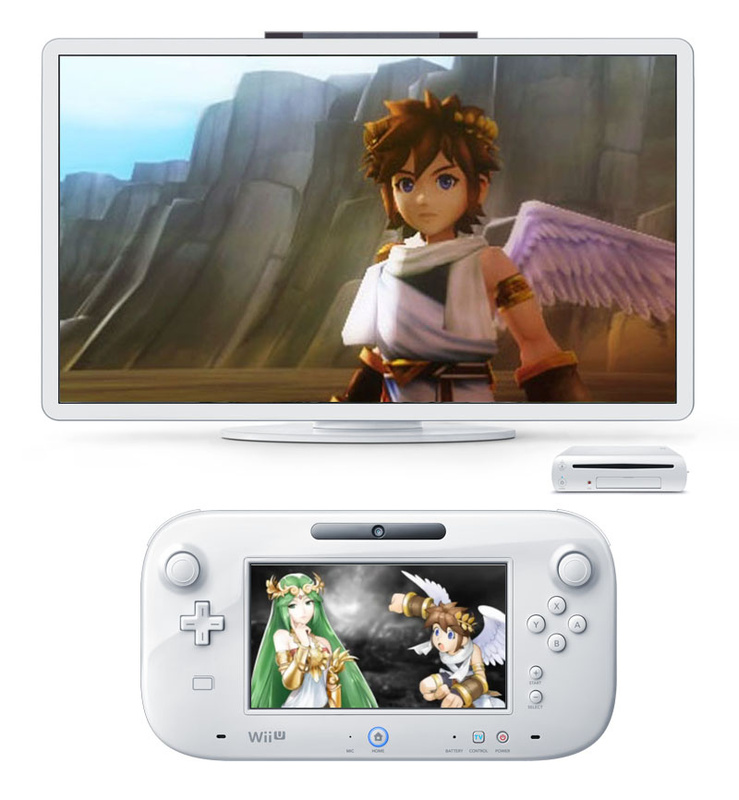 Kid Icarus on Wii U would look spectacular. I would buy it in a heartbeat. I would hope that Kid Icarus went to the Wii U with the exact same look and feel as Kid Icarus Uprising. However, I would hope that the developers would include a dual analog option that was sadly looked over in Uprising. Just include an option where you can switch between using the touch screen and analog controls (an perhaps give the face buttons quick commands for the power ups) and you've made the perfect Kid Icarus! I'd love to see some DS series make it over to the WiiU. Great suggestions. Montser Hunter WiiU: Awesome Online Edition (with future dlc and downloadable new monsters and quests). The interest rate on the taking of a life is irrelevant. Just make it already. Somebody needs to show Nintendo this. The Pokemon idea is simple and would make Nintendo big bucks no doubt. However, they probably won't do it because they are currently obsessed with squeezing out as many Mario games as they can think of. I also remember reading somewhere that they don't plan to make a Kid Icarus Uprising sequel for a long while. I would want all of those games on the Wii U. I actually wrote a blog on IGN (in hopes of winning Sakura Samurai; I don't usually blog) a while back about how awesome Advance Wars would be on the Wii U. Playing on the big screen would really make the battlefield feel huge, and level editing would be great with the large touch screen. Of course, the multiplayer like it was mentioned sounds awesome, but there could even be some amount of co-op, a la two connected battles occurring at the same time like in Dual Strike. Add online play, and it really could be the ultimate entry in the award winning franchise. great article. I would jump all over an HD home console Professor Layton, being able to watch those cutscenes on a big HDTV, and solve puzzles on the gamepad. That sounds like a wonderful experience. These are some great ideas, makes me more excited for Wii U. Except it does worry me that all these handheld series would make a jump to Wii U and leave the 3DS behind. There needs to be a balance. Bring back Ivy the Kiwi! All great ideas. I am still waiting for a fully fledged Pokemon main series console game. The amount of material they could be able to put into it and it's impact would be amazing. I can't even imagine how much money it would make (head explodes from the pure thought of it). A massive console Mario & Luigi game would be great, as long as it's better than Bowser's Inside Story. Pretty sure Gamefreak has said there will never be a main Pokemon games, since they think the games just works best on handhelds. It's not impossible there will be a Pokemon RPG on the Wii U, just not one of the main games. Kirby Canvas Curse and Meteos would work perfectly on the Wii U.
I'm sure there will be some type of Pokemon game on the WiiU as the Wii has Rumble Blast, Pokepark 1 and 2, and Revolution. Advance Wars would be my preference though. @Xilef Pretty much. The head of Gamefreak said they want Pokemon to stay portable for the main titles. Nintendo really doesn't have any way of forcing them to make a main Pokemon game on a home console, seeing as they actually have equal ownership over the IP. Also, pretty much every home console Pokemon game hasn't really had any involvement from Gamefreak for this exact reason (don't want to do home console games). Even the Stadium series hasn't had Gamefreak on board, speaking of which they should really get Hal Laboratory to do the series again. I'd like to see the Magical Vacation/Magical Star Sign series on the Wii U. Also, it would be a good console to resurrect Crystal Chronicles (use the Gamecube one has the base version) and maybe another Four Swords game. I highly doubt a core pokemon game will make a home console experience, as GameFreak pretty much has the main games built around a handheld/portable/take with you all over experience and for now they seem to plan to keep it that way. Definite YES to Advance Wars with 2-player separate screen mode. Obviously also needs a TV-less mode that supports 2 players with nothing but the controllers, original DS multiplayer style. @Chriiis Same here, would love to get another 'Shadow' game or at the very least, another Stadium/PBR kind of game. We have gotten at least one 3D game per console, so we will probaby get one for Wii U some time in the future. I could see the Professor Layton's and Ace Attorney games getting HD versions. I would have lost a lot of respect for the site if Elite Beat Agents had not been on this list. The system is actually powerful enough to not use covers. If they are willing to actually spend a bit of money to get good songs (not entirely electronic dance music, please) to match the fun gameplay, it could be one of the best games on the wii U. @Chriiis Exactly what I was thinking about. For Kid Icarus: Touchscreen while in the sky with the Gamepad in the lap so you don't need to destroy your hand. While on the ground use the second stick. The fantastic game without the pain! Why not Super Mario 64 DS!? Maybe that Prince of Persia DS game that was based on the 2008 reboot. I hope Nintendo finally does bring a core pokemon title to a home console! Pokémon would totally rule most of Wii U with this cause it will. Custom Robo could have some interesting uses. Being able to use dual analogue in battles would allow you to move and aim your missile at the same time or aim your pods while moving, both of which are pretty big deals. I think introducing items or one use weapons that could be employed by simply tapping the touch screen (think Pokemon attack selection) would be a great addition. I doubt this will happen though. As far as I know, CR on the DS bombed so I don't see the series continuing getting any new entries. I love Battalion Wars I would like to see a 3th one it was a good RTS game. Battleship can be put in the game it would be very cool to play the Battalion Wars 3 game cant wait. Very good list. Any Game that doesn't require to look from bottom to top screen quickly and constantly, and games that don't necessarily need the touch screen, Kid Icarus and Pokemon being fine examples, would be perfect ports. A way for users to experience some DS games if they don't own one, and more cash in Nintendo's pockets. Winners all around . 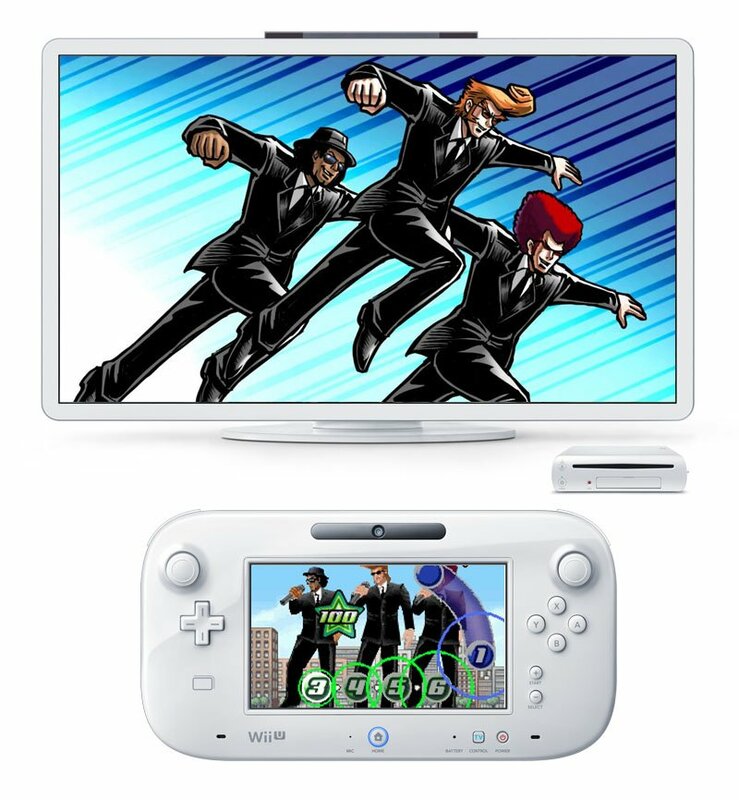 Elite Beat Agents on the Wii U would be a dream come true. why is TWEWY missing from this list? the gamepad would definitely make the dual-screen fighting a lot more interesting — or hey, maybe it could let you two-player it up? Am I the first to agree with @Onett? That is a hella awesome idea. I would love to play FF:CC on WiiU. btw, everyone thinks the Zelda inventory on WiiU would be great, why didn't do that on the DS? Go over to your game shelf and find all of your DS titles arranged neatly in its rows. Close your eyes and just randomly grab a case... there, that 1 should be re-made on the Wii U.
I'd totally get a Wii U Pokemon, Advance Wars, & Kid Icarus. And Ace Attorney? Oh God, please let it be so. Touch screen or not, there is not a home console where people don't beg for a main series Pokémon entry, usually an MMO one. I don't think that will ever happen. My first thought was Ace Attorney, and sure enough it was here. Pokémon & EBA - YES PLEASE. And kicking back on the couch playing through a Layton adventure on the big screen sounds like a blast! Great list! Kid Icarus on wii u in beautiful hd with spectacular online features and creative uses of the gamepad. epic. I can see the Pokemon TCG working on the Wii U since it's both non main-line and at the same time has a huge following. They could make a huge profit off of Pokemon cards and the NFC scanner. That being said, I'd probably go broke if they made something like that though. As long as Kid Icarus remains a touchscreen-controlled game, I won't get into the series. Just playing the 3DS version like 3 times for an hour each time probably gave me carpel tunnel syndrome. One of the best features I've seen on this site. Kudos. I'd never really considered the Wii U as a giant DS, but I guess it is in some ways - be interesting to see what gets ported/updated. I'm all for Zelda CO-OP... bring this to the Wii U.
I'd rather focus on some completely new games than transfer old ones. I'd love to see Professor Layton on Wii U and another far superior Ouendan game rather than Elite Beat Agents. you know what, i guess its time to get myself a DStwo cart and play roms. I already bought tons of nes.snes,gameboy,ds games in the past. im not gonna pay for them AGAIN ? Oh man, if Phoenix Wright and Pokemon are released for Wii U I would be so excited for those titles. TWEWY actually sounds like a nice idea. I'd definitely want some DS titles released for Wii U.
I want Pokémon Snap too! One more reason for Layton on the Wii U would be solving puzzles together is easier on a TV screen. Not sure if the Ace Attorney games should be more cinematic, that could end up awful as well. Anyway, a new Heny Hatsworth could be amazing on the Wii U.
Legend of Zelda: Four Swords/Adventures. Even though it wasn't a DS game, it was the first to utilize dual screen gameplay. I had problems getting my friends to play because not everyone had the game, the link cable, and/or the time to play. The online function of the Wii U would be perfect for all these problems. What I was thinking is that it would have 3ds/ds download so you can use it as an additional controller as tv screen top and wii U screen bottom. of course that the 3d will be turned off. This isnt even a game on DS, but ever since I saw the Wii U controller, I said to my brother, "That kinda looks like a huge camera, and would be perfect for taking snapshots of things, in real life and in games" then we both thought of it at the same time and said "POKEMON SNAP 2!" It's only now that i see the full potential of Wario Wars on the Wii U. While one player waits for the other to take his turn he can play minigames to make the waiting less tiresome. I';ve always said since this ssytem was announced it felt like there was sort of a DS cocnept in play on the Wii U here. Pokémon definitely seems like a no brainer for the Wii U. Now as for Kid Icarus, hell yeah I want a sequel, more adventures, a stronger series out of it on the level of Mario, Zelda, Metroid, etc! Prefferably, I think anyone could see that Uprising's scheme on the 3DS was more or less made for tps/shooter type action, so it's only logical to support the Wii remote and nunchuck. I guess I can't really argue much with those that are simply too used to a simple dual analog gamepad, either. I'm just honestly waiting fore more of a challenge where I can actually prove some real skill vs the average dual analog schemes being offered lately. That said, a little change is never a bad thing. Lastly, touchscreen....I think I could only see the need for it here for micro-management type things, if any? Kid Icarus makes the most sense to me, but I know that won't happen any time soon. I use the touchscreen for Pokemon all the time. To me it feels archaic using the dpad and buttons when I can just select a move with my thumb. Hopefully and most likely there will be Morio bros. games!!!! OMG, how many people missed the point? I think it's safe to say that Gaz meant "franchises" rather than "single games". Anyway, I completely agree with this list, Professor Layton, Ace Attorney and Advance Wars would be TOTALLY awesome on the Wii U Not quite convinced on Pokémon, though, home console games never really attracted me much :S As others said, I would LOVE to have a new 2D Metroid as well, it's been really too long since they made one! Ya are going get 20+million sales on that cause pokemon LOLWUT!?!? I also think that the starter pokemon should be availible in the wild and there should be new 6th generation starters so it will be finally possible to get a team of all same type starters without trading. If they make a Kid Icarus for Wii U I'll instantly buy it. Also looking forward for a Professor Layton! Why not Metroid Prime Hunters, it might be outdated if I get it for the ds. No what, that'll be more than awesome, it will perfect for Wii U! I hope nintendo comes to their senses to make a metroid game for Wii u... I hope you guys agree! i think adding ds and 3ds games to the wii u would be wise, since NIntendo is known for reselling past games. I'm personally excited to see kid icarus on the big screen!